I do enjoy a trip over to Burnsall but sadly don’t visit the Red Lion as much as I’d like, had an excuse for a trip over today and was very pleased we did. First the Beer, Timothy Taylor’s Best Bitter or Caledonian Deuchars IPA (one of my favourites through habit when they used to serve it at The Lister Arms in Malham) of course I choose the Deuchars IPA for old time’s sake, good temperature, lovely creamy pint. The food, for starter’s Fish Soup with Aioli & Gruyere, very meaty fish soup ! can you say that? I mean lot’s of nice fishy or seafoodie bits in this case, squid, mussels all sorts, lovely consistency and a nice floating crouton with a dollop of Aioli and sprinkling of Gruyere on top, yum. served with sundried tomato bread. Main course, after much thought I plumped for the Liver & onions with bubble and squeak, another great choice on my part, various veg served with the other meals and included, butternut squash mash, dauphinoise potatoes, chips, red cabbage, carrots and cauliflower cheese, oh and a salad with the steak. Other dishes on the menu included, rib eye steak, smoked haddock, poached egg and hollandaise (I went for this last time I was here!) 14oz rump steak, Hartlington Lamb, Pigeon & chorizo salad, game pie with herb dumpling crust and Haggis (but they had run out). I was stuffed and couldn’t face a pud but other’s tried a lemon tart with lemon sorbet, an orange and chocolate mouse cake and the cheese and biscuit selection which all looked great and the cheese came with fruit cake as well! 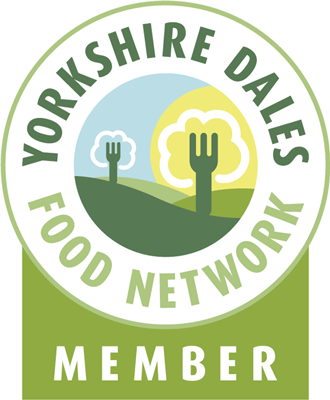 This entry was posted in Eating, Yorkshire Dales Food and tagged aioli, ale, bubble, burnsall, deuchars, fish soup, hetton, IPA, lion, liver, main course, onions, pale, red, red cabbage, squeak, starter, Yorkshire Dales. Bookmark the permalink.